TELUS Corporation (TELUS) is a telecommunications company founded in 1993 and is headquartered in Vancouver, Canada. It provides a range of products and services in Central and Eastern Canada in wireline and wireless segments. It operates through mainly 3 business units- Consumer Solutions, which cater to the wireline and wireless needs including voice, data, entertainment to households and Individuals; Business Solutions, which cater to the voice, data, internet, IT solutions to the public sector, multinationals and small businesses; TELUS Quebec which provides telecommunication solutions including wireline and wireless voice, data, internet to the Quebec marketplace. TELUS has around 58,000 employees as of Jan 2019. 1. Telus’ exclusive partnership with Huawei for the 5G network. 1. 3.5 GigaHertz spectrum Auction: The auction of 3.5 GigaHertz Spectrum is an opportunity for Telus to increase their competitive advantage. Working closely with Government will enable it for the development of 5G infrastructure and acquisition of spectrum necessary for 5G rollout. Also, Telus is working closely with the Communication Security Establishment & Canadian government for enhancement and upholding a secure and innovative approach for management of safety equipment for all clients. Telus’s security framework consists of a series of protocols that prelude Chinese equipment from sensitive parts of the network known as core and limits the equipment with a less sensitive radio and antenna components. 2. Lower Operation Expense and advantage of Economies of Scale: Expansion of PureFibre Footprint and the corresponding customer base enhances efficiency in terms of economies of scale advantages and lower operation Expenditure. 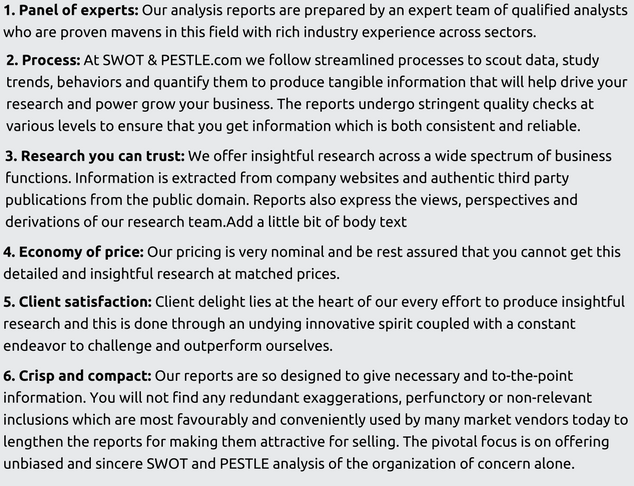 High revenue characteristics of PureFibre clients and lower churn results in elevated customer economics overall. Thus, Telus’ steps to increase and expand the PureFibre footprint to 75% with the same or even better operational excellence, customer service may prove very beneficial in terms of Economies of scale. 3. Government subsidies in rural areas: Telus' current focus is on B2B business where they are currently working and delivering phenomenal results that are being delivered to wireline. It is evident from the fact that there were 127,000 loads for 2018, which is 80000 loads year-over-year. But there are other areas to look upon. There may be rural areas where government subsidy programs are in the place where Telus can leverage and make the fiber more economical for the public there. The resource industries in those areas may make the economics for Telus attractive and there is definitely an opportunity for Telus to decommission copper in those areas for PureFibre.Accelerated capital cost allowances by the government would allow Telus to do a little bit pre-emptive exciting and meaningful leveraging 600 megahertz propagation characteristics in non-urban areas to bring 5G initially to rural. 1. Prohibition of 30-day cancellation policy by CRTC: Canadian Radio-television and Telecommunications Commission (CRTC) has directed for the prohibition of 30-day cancellation policies in which telecommunication providers are mandated to provide pro-rated refunds to customers who cancel the broadcasting and telecommunications service contracts within 30 days. For TELUS, this was unexpected as the past decisions on Wireless Code by CRTC did not mandate pro-rated refunds on cancellations done by the consumers. The new policy may impact TELUS if the cancellations are, presently, in huge number by the customers. Also, if the policy gets implemented, it will give the customers an incentive to cancel the plan they purchased within 30 days as they get their money back. This, in turn, may lead to an increased number of cancellations by the new customers and may lead to a highly negative impact on TELUS. Also, the billing system has to be modified to incorporate the new policy. As per TELUS, the decision should not apply on wireless services with a subsidized device, local telephone service in non-forborne exchanges and usage-based service and the decision on the same has been pending with the CRTC. 2. Increased Government Intervention in the Telecommunications market: CRTC has ordered the introduction of wholesale high-speed internet access service for Internet Service Providers (ISP) competitors which will include access to FTTP facilities. The proceedings were already initiated with respect to the determination of the appropriate costs, wholesale cost-based rates, tariff rates, and technical configurations. This step from CRTC is bound to increase competition in the wireless segment for TELUS. Further, CRTC has determined to regulate the wholesale GSM-based domestic roaming rates that telecommunication providers like TELUS, Bell charge and Rogers charge other wireless carriers. The final wholesale prices are yet to be out but if the regulated prices are low, it will definitely have an adverse impact on TELUS in terms of revenue generation and it may have to cut its operating costs on various fronts to let the new policy impact its profits. 3. The possibility of imposition of security measures and the Government ban on Huawei: CSE and the Canadian Government are undertaking a comprehensive security review and may establish several rules and regulations regarding network security. To all potential service providers, security standards would be applied which all service providers have necessarily adhered to. Considering the security issues, the Government may impose the supplier ban which will result in a heavy cost for Telus. In that case, TELUS will be diluting Canada's Global leadership, wireless network technology, and excellence. TELUS has to not completely depend on Huawei considering the chances of a complete ban but has to find a back-up plan for it. AlarmForce (western Canada operations) Home security, monitoring, and emergency response 2018 Acquisition The acquisition will add customers, assets, and operations of AlarmForce Industries to TELUS in B.C., Alberta, and Saskatchewan. 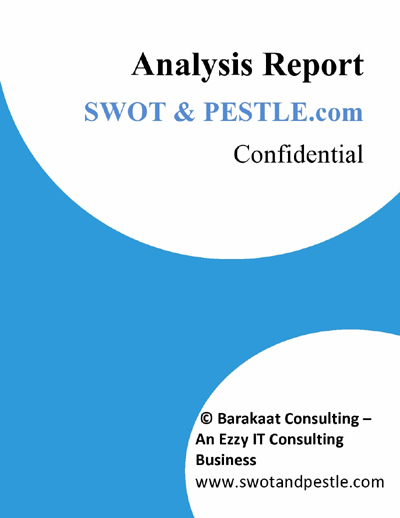 TELUS SWOT and PESTLE analysis has been conducted by Siddharth Arora and reviewed by senior analysts from Barakaat Consulting. 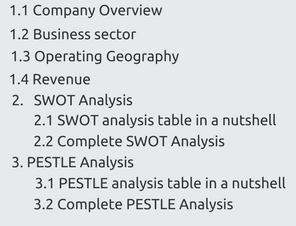 Copyright of TELUS SWOT and PESTLE Analysis is the property of Barakaat Consulting. Please refer to the Terms and Conditions and Disclaimer for usage guidelines.